Requirement Analysis Council [RAC] organized a “INNOVATION OF ENGINEERING AND TECHNOLOGY ‘17” EDITION II, a National Level Paper Presentation Contest for the students in association with various State & Central Government Organizations. 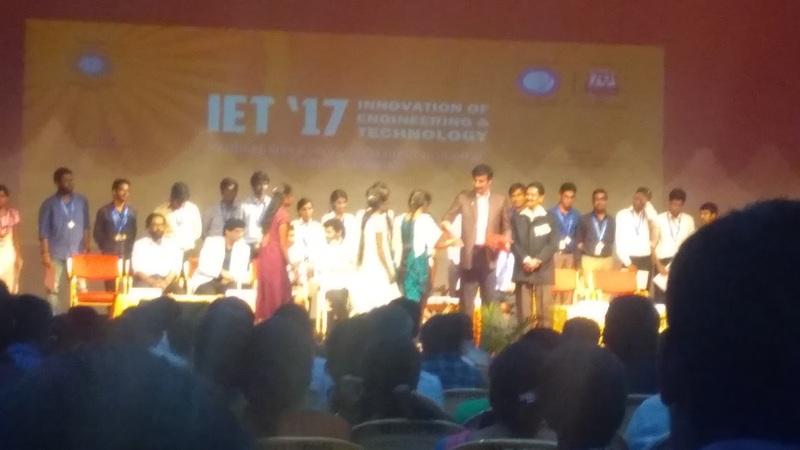 IET ’17 plays an important role in shaping the overall career of a student by applying conceptual ideas in the process of developing practical and innovative mechanical models. The preliminary screening round for the main event was conducted at various institutions across India, following which 120 best papers were selected for the finals from a group of 450 papers. Two teams from mechanical department [Team 1 - Mr. Vino.T , Mr. Anto Kavin Antony ,Mr. Victor Ashok .W from final year and Team 2 – Mrs. Monisha.S, Mrs. Kaleshwari.V , Mrs. Ramala.S.R from third year] under the guidance of Mr. R. Kings Krishna NagarajaSingh . [ Assistant Professor of Mechanical department ] students participated in zonal level competition which was held in Ramco Institute of Technology, Rajapalayam, Tamilnadu on 04/03/2017. Both the teams from AVCE got selected for the final round. The finals were held at Sri Jagadguru Chandrashekaranatha Swamiji Institute of Technology (SJCIT), Chickballapur, Karnataka, on 18/03/2017 to recognize the top most best papers and innovative concepts. 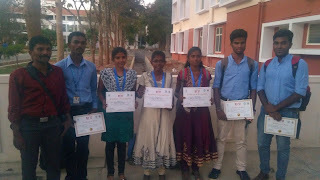 In finals , the paper presented by Mrs. Monisha.S, Mrs. Kaleshwari.V , Mrs. Ramala.S.R from third year mechanical department [Paper Title – “Skating Two Wheeler Guard” , Guide - R.Kings Krishna NagarajaSingh .M.E (Phd) ] was selected as a one of the “Best Innovative concepts" paper under Top ten innovative concepts category.